The fastest SSD-based USB drives now available can transfer data at more than 500 MB/s—many are bus-powered, too. But, most desktop computers (including many new models) feature old-generation USB interfaces that can’t support that performance, and may not provide enough power to enable bus-powered drives to function. 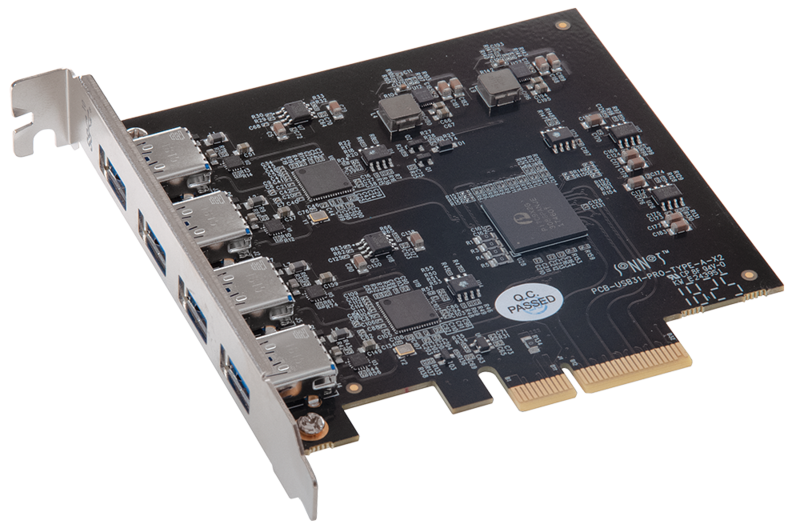 Break through the bottleneck—install Sonnet’s Allegro Pro USB 3.1 PCIe card in your Mac Pro tower, Windows PC, or Linux computer with PCIe slots; or Thunderbolt to PCIe card expansion system to support your fast USB drives at maximum performance. Note: See product page for important compatibility information.